These designs are great! Will they all be printed on a black base, or will there be some grey/tan options? 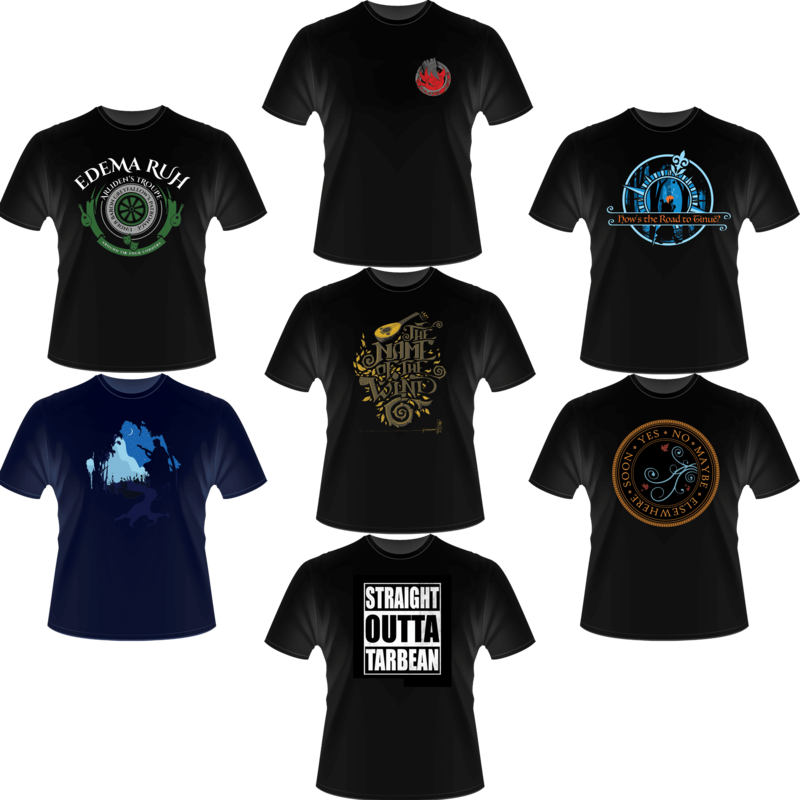 I love me some nerdy t-shirts, but “black” and “clothes you wear in the sun” never really mixed well for me. 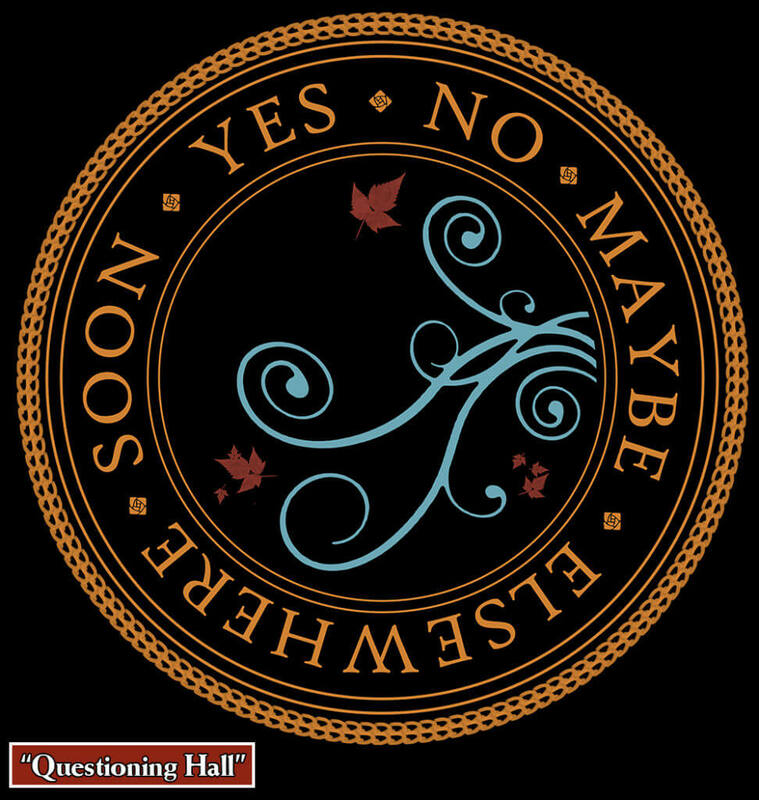 A lot of the more subtle designs without a great deal of contrast, like the Questioning Hall shirt in particular, (which I love, will get lost on a fully black background. Sorry, the colors we’ve shown in the mock-ups are the only ones we’re offering. We occasionally try different color shirts. But they just don’t sell very well. We end up losing money on them…. I also would like tshirts other than black. teal for the road to tinue and light pastel green for the questioning hall would be much better than black. I never buy anything black, it’s a depressing color. I love the golden screw onesie! That is beautiful! 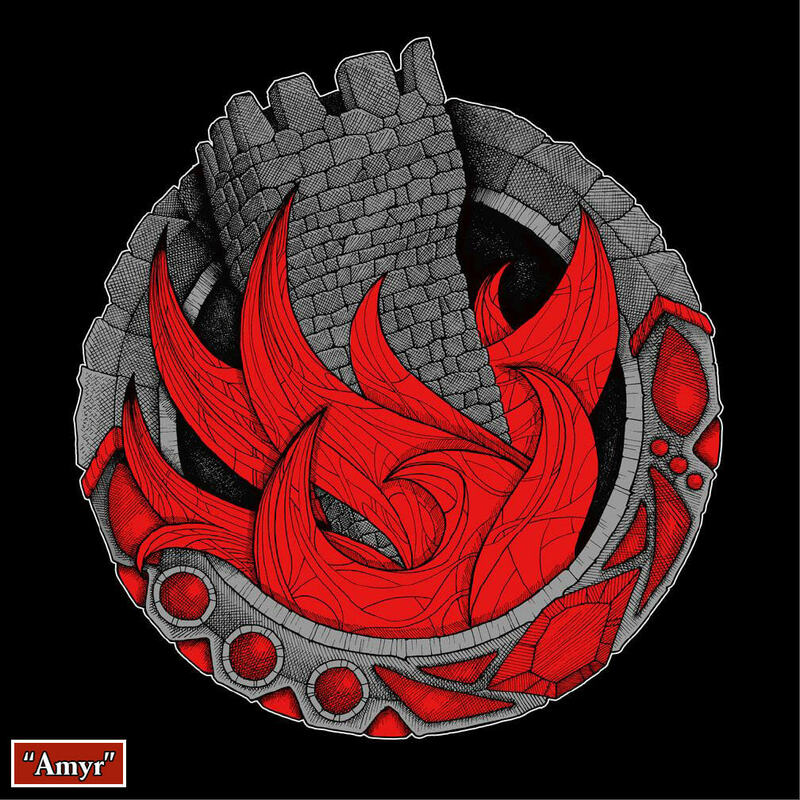 With the Amyr tshirt, could it be a long sleeve shirt with little stylised flames on the sleeves? That’d be pretty awesome. Also, I really want a name of the wind tattoo. The last blog has got me dreaming. But I’m right with you on the votes! I will not be buying a onesie, (so I didn’t vote for any) but I just wanted to say I *love* the golden screw one. It made me laugh. Big props to all the artists! All the designs are great. 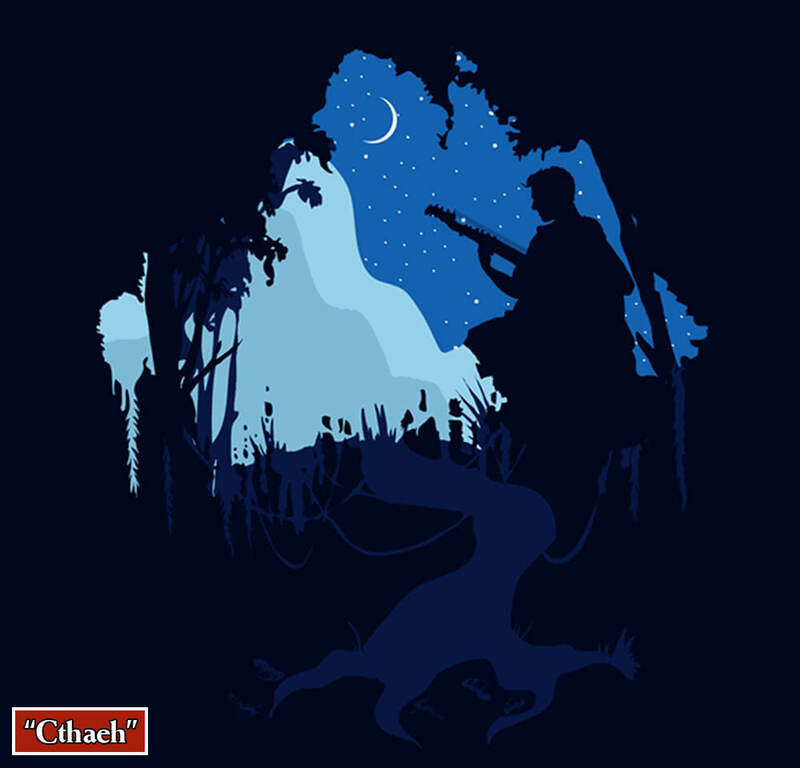 I look forward to buying a t-shirt and hope my favorite will be available. I was thinking: I need to find someone, and have a baby, so we can vote for that golden screw onesie. But voting will be closed before 9 months. If you’re sure you’re going to procreate at some point, you could buy it for your layette. Or maybe you have friends or family who are about to become parents? I hear you. It’s my favorite. Though it doesn’t look like it’s going to win…. Also curious if there will be other color shirts before I vote. I generally don’t buy black t-shirts anymore. Is the “Arliden’s Troupe” graphic specifically designed to look like a target? Cuz that’s co-o-o-o-ld. I believe it is w wagon wheel. Am I the only one who can no longer see the larger image of this design? Where’d it go? I would definitely rock the Cthaeh, or the name of the wind…If I could of vote for 3rd I would have picked the Edema Ruh! Thanks for the unsolicited art direction? I guess? I voted for ‘The road to Tinue and the Edema Ruh one. You make a great point here, and I agree with you on Tinue, it’s a quote that is recognizable and it makes me happy so I’ll be sad since it doesn’t look like it will win. I even decided to vote for Questioning Hall over Cthae because I thought about describing it to someone who isn’t familiar with the books. I’d much rather describe something fun and quirky over something kind of terrifying. But both are beautiful! 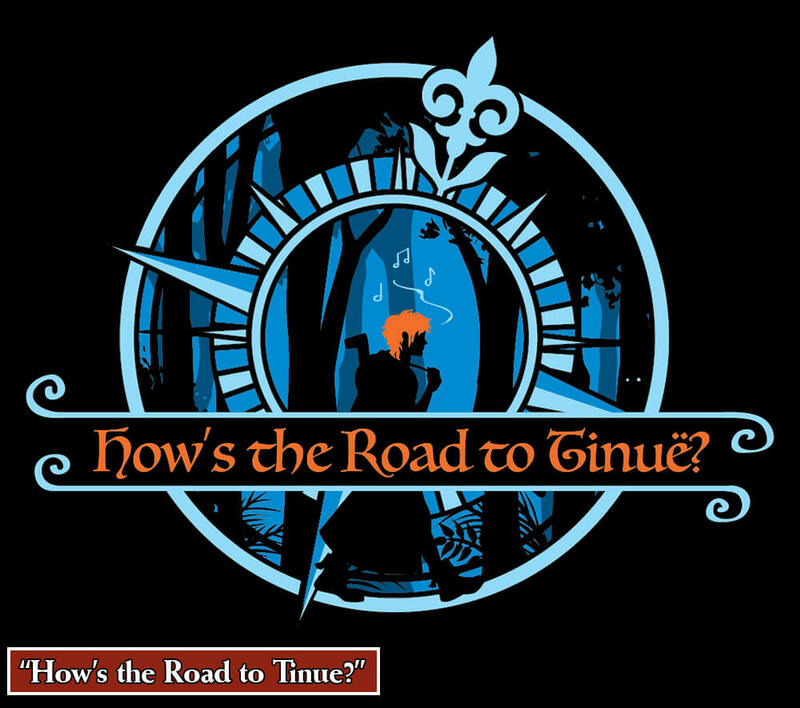 2) How’s the Road to Tinue? All y’all need to be voting for the tees I like, yo! Also, the Cthaeh tee winning right now smells like foul play. Foul fairy play. I do not have children or plans to have children, but if you make that golden screw onezie I will buy it anyway. I’ll put it on a baby goat instead. Why oh why can’t adults have the moon one? 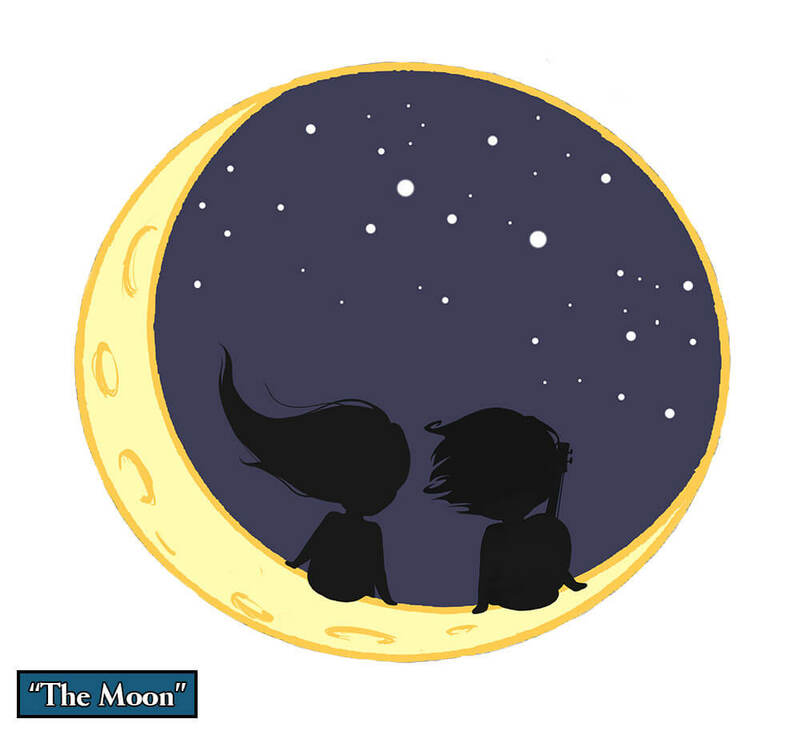 I am considering buying the moon one and cutting out the design and sewing it onto my own shirt. Is that nuts? I just love it so much! I actually did that with a kid’s tee to make myself a Perry the Platypus hoodie! If you need an Auri shirt (well…everyone needs an Auri shirt), we have a similar design available already (https://thetinkerspacks.com/products/unlock-shirt?variant=7033526979). 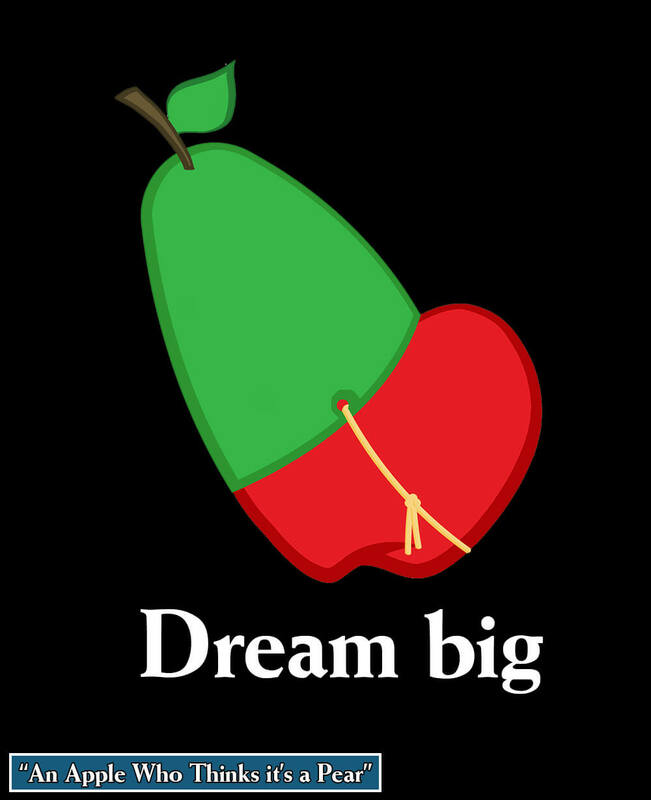 That would also make a cool design for the back of a hoodie….hmmm…. Voted for the “Questioning Hall” one! Is there any way that it could be in the same position as the “Amyr” logo? I typically don’t wear shirts with large graphics, but would definitely buy one if it was an accent logo on the black shirt (or tank top!). Will the shirts be available in women’s cuts? I’ve had poor luck with “unisex” cuts in the past. I second the women’s sizes. I almost considered not voting as I would definitely buy a women’s cut shirt in the Ctheah but I already have too many il fitting men’s shirts that while awesome, don’t fit well so I rarely wear them. PS. If you had a women’s shirt with Fela on it I would already be sending you money! Thank you! :) And we can purchase them with credit cards? Sorry for all the questions, I just don’t want to get my hopes up if I can’t get one! You can! 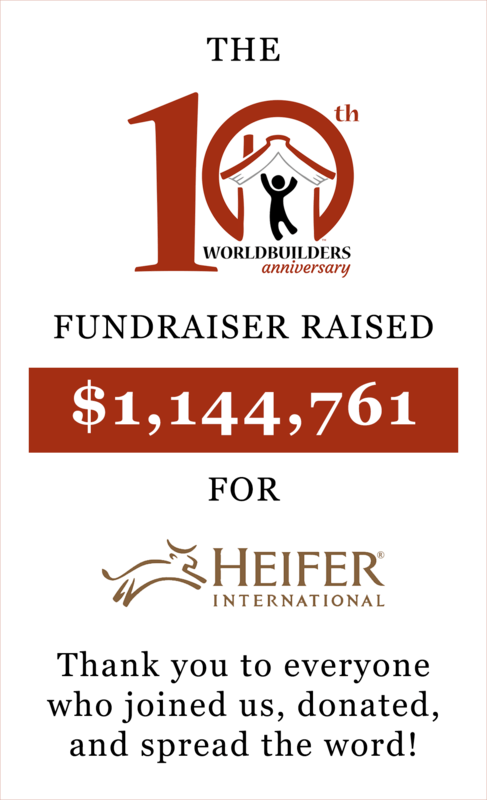 Both the fundraiser and The Tinker’s Packs take credit cards. Is there any chance it’ll get made if it comes in 2nd? 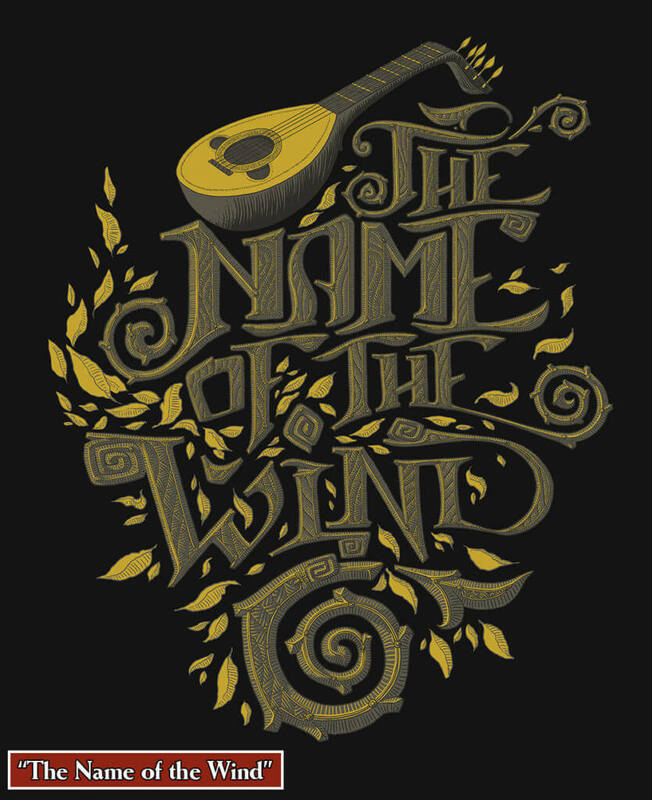 Who is the artist of The Name of the Wind shirt? That’s phenomenal work. I love so many of these designs (god, those onesies are precious), but I am curious — why only vote on 7 t-shirt designs and also reuse two that were finalists in a previous year but got outvoted? Were there not as many submissions this year? This is kind of crazy because I was brainstorming ideas back when you announced this and also came up with the idea “Straight Outta Tarbean”. It made me chuckle but I didn’t know if it would really work as the best T-shirt for this. Was really odd to click here and see it! Great designs all around though. I think the “You have died of Chandrian” from last year is still my favorite though. 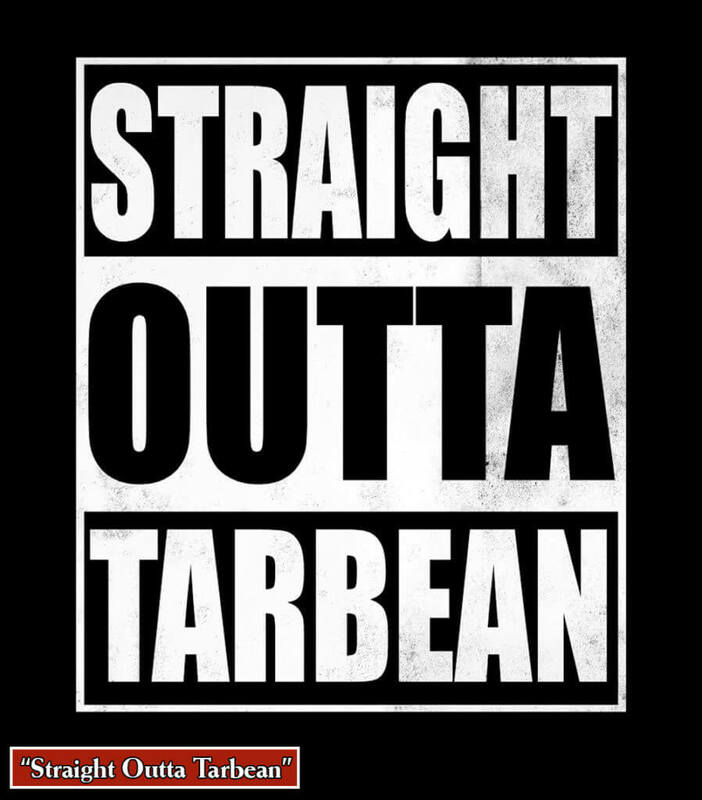 I actually had a similar thought on “Straight Outta Tarbean” not really being the best choice- I figured the more artistic designs would fare better, but I’ve learned to trust ideas that make me chuckle when I think of them- Oh well. Maybe next year. All of my best ideas are either huge successes or huge failures. They’re sides of the same coin in my opinion…. Me too. It seems, that something inside broken and now you can actually select only one box. Thanks for bringing this up you guys. I’m not sure what broke, but I made a few adjustments, so hopefully it works now! Hi, Amanda. Unfortunately, the same issue is still happening. I was only able to vote on one shirt. Okay, it should be resolved now. If you can, go through and vote on the second shirt you wanted! Questioning Hall idea is really good! But this thick orange circle around the picture… It is just a border, but it is too heavy, too bright, gets too much attention. Whole picture looks like a big round stamp. Without it I will definitely prefer this one. – it has some meaning even for people, who have not read your book yet (and yes, there are still a lot of them, poor souls). 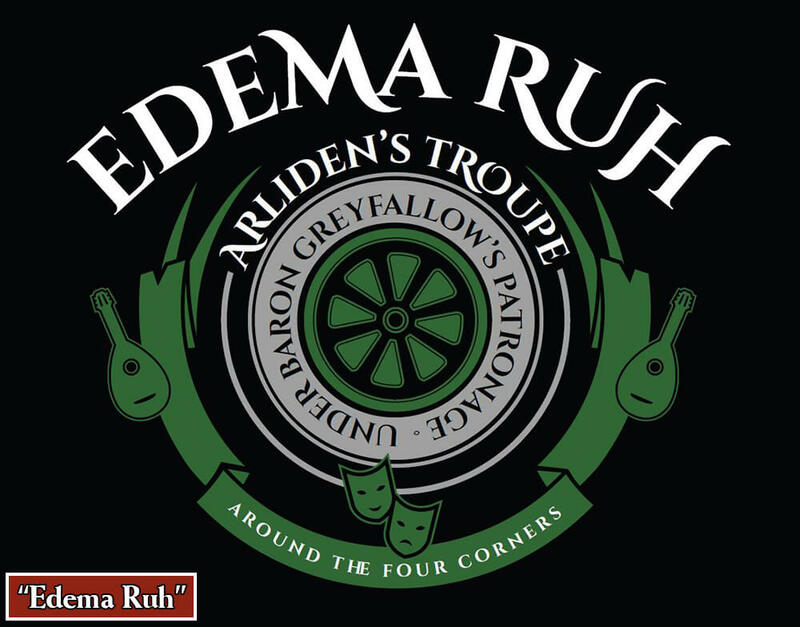 But with this orange circle… I choose Amyr and Edema Ruh. Please consider redesign Questioning Hall if it is still possible. And anyway, for me these designs, all of them, are much better then previous. Much much better. It looks that if you choose to make any three of them, I will buy at least one. Just wondering whether your ever going to make any hoodies, that would be absolutely AWESOME. 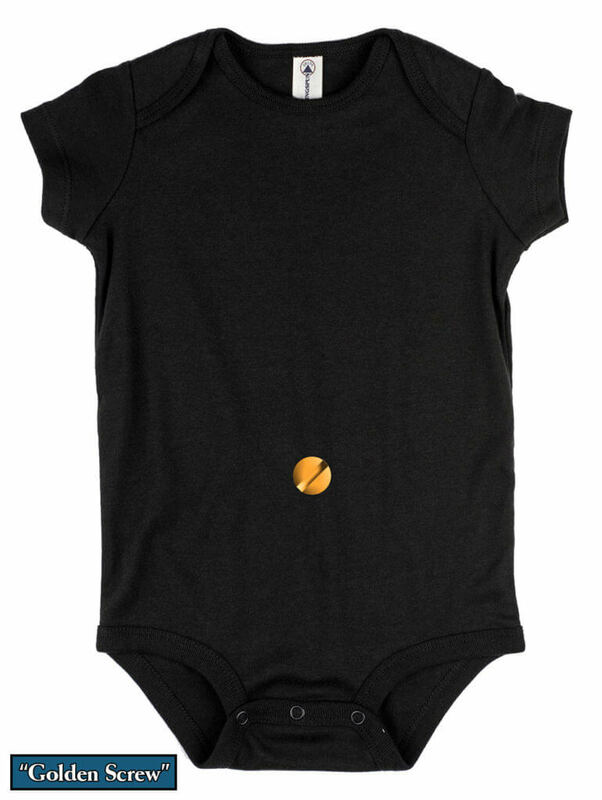 Will the onesie design also be available in Youth T-shirt sizes? (Please) My six year old needs some KKC merch. Don`t know why I was drawing and sending my art. In voting a lot designs, that was in previous year. I had the same issue. I re-loaded and was able to vote for just one, so I’m frustrated that only one of my two shirts got voted for. No one else has commented about this prior to today so I’m wondering if it’s a recent change in coding, allowing only one shirt to be voted for at a time? No, I got the above error message when I selected two shirts. I then selected only one, voted, and it shows the results. I am unable to select another to vote. I got an error code when voting for two, so I did the one, I’d rather have one vote than none. Both of you can email me at blog (@) patrothfuss.com and I can manually add your votes to your second selection while I try to troubleshoot this thing. 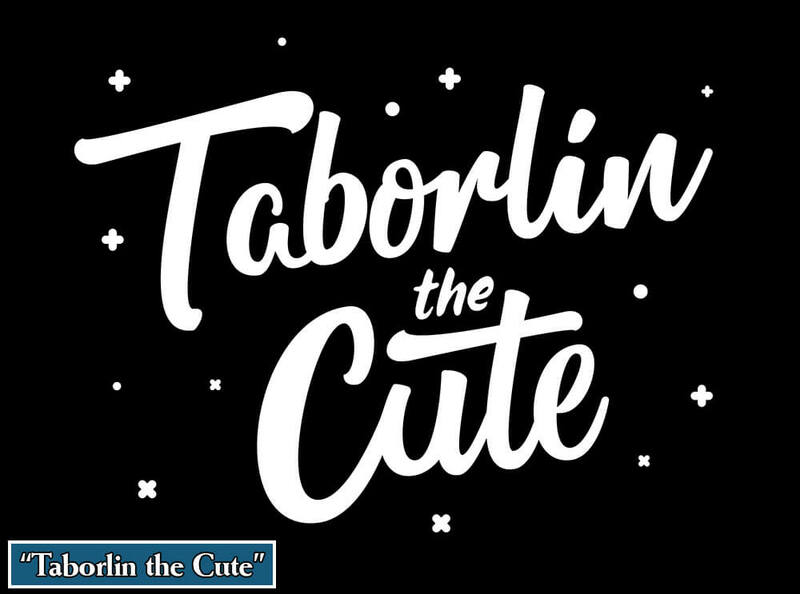 My vote : I like Taborlin the cute, even if it is mostly only text. I could choose Dream big, but the drawing is not enough cute according to me (friendly appologies for the artist, just my opinion/taste ! ). Maybe next year ! But this art contest was really a great great idea, please do it again ! Have you ever checked DeviantArt groups? There are plenty of fan art there for you to delight yourself.